Hugh Hefner died a year ago on September 27, 2017. For several years now, I imagined I would comment on Hefner’s life once he died. But then my Dad died that October of 2017, and it didn’t seem fitting to address both in the same breath. For a reflection on my Dad’s life and death, see here. I loved my Dad and thought he lived a good life. Hefner’s life, by contrast, struck me as troubled and troubling. 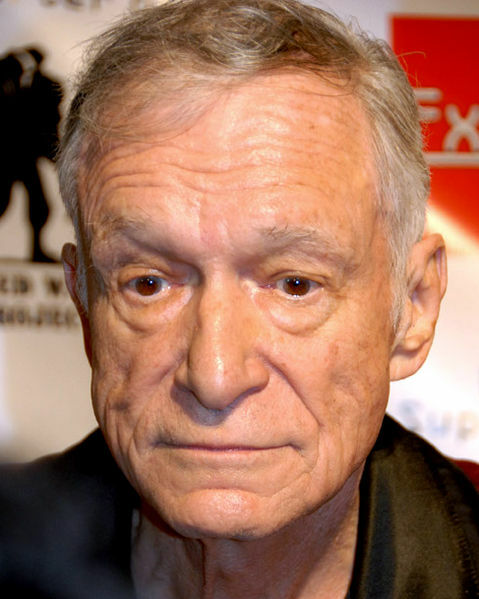 I’m not going to moralize here about Hefner. He’s been widely labeled and insulted, especially by Christians who loathed his lifestyle. Here, however, I’m interested in the man, what drove him, and what made him a prophetic voice of our age, even if a false prophet. I’m no Hefner scholar (yes, such exist, for instance Steven Watts), though I’ve read a few things about him. Indeed, he was a man who loved to be in the news, so it was hard over the nearly six decades of my own life not to have heard about him periodically, especially when he did something newly outrageous. Nike’s decision to enlist Colin Kaepernick as a spokesperson and then ascribe to him the words “Believe in something. Even if it means sacrificing everything.” has elicited a large reaction, to which I’ll contribute here. Speaking for myself, I find it wearisome when companies that make products with no conceivable political implication decide to weigh into politics, take a partisan position, provoke controversy, and then shove their point of view in the public’s face. ESPN does this, but I will still watch ESPN. Yet Nike has not been content simply to engage in partisan politics. In addition, it has decided to stake out so bone-headed and indefensible an ad campaign as to insult the intelligence of the public and especially its customers. AI (artificial intelligence) poses a challenge to human work, threatening to usurp many human jobs in coming years. But a related question that’s too often ignored and needs to be addressed is whether this challenge will come from AI in fact being able to match and exceed human capabilities in the environments in which humans currently exercise those capabilities, or whether it will come from AI also manipulating our environments so that machines thrive where otherwise they could not. AI never operates in a vaccuum. Rather, any instance of AI operates in an environment. We often think that AI will leave an environment untouched and simply supersede human capability as it operates in that environment. But what if the success of AI depends not so much on being able to rival human capabilities as in “changing the game” so that AI has an easier job of it. The mathematician George Polya used to quip that if you can’t solve a problem, find an easier problem and solve it. Might AI in the end not so much supersede humans as rather impoverish the environments in which humans find themselves so that machines can thrive at their expense? To see what’s at stake with this line of concern over AI, consider the prospect of automated vehicles. Automated vehicles, we are told, are poised to take over all of human driving. Once the machine learning for the automation of driving matures just a bit more, we are assured that human drivers will be out of a job — the machines will drive so much better than us that it would in fact be unethical for humans to continue to drive. And, of course, as an unfortunate side effect, humans whose jobs depend on driving will all be put out of work (truck drivers, taxi drivers, etc.). 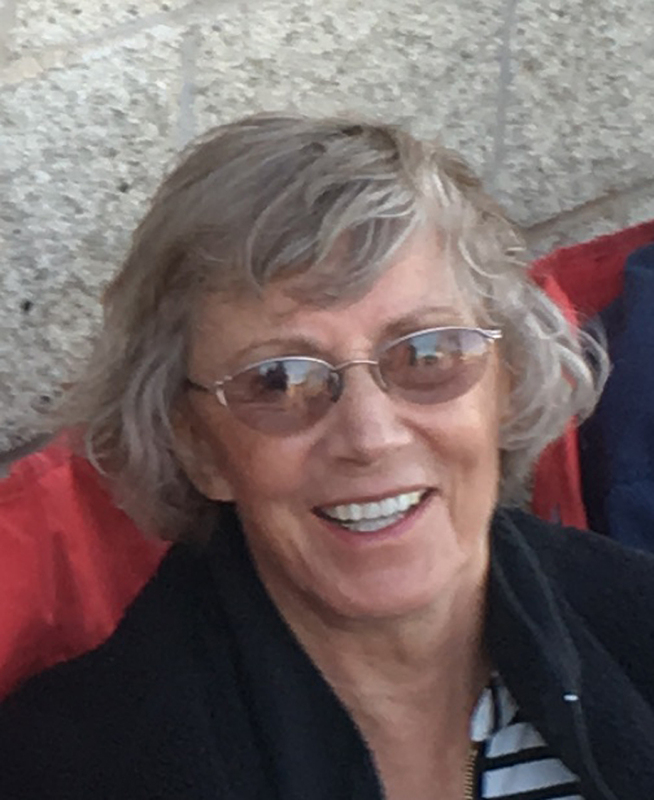 My Mom, Ursula Dembski, passed away around 11:30am on Sunday, July 15, 2018 at Comfort House, the hospice home in Pella, Iowa. She was 86. My Dad, William J. Dembski, preceded her in death by nine months (for my remembrance of his life, see here). The funeral is scheduled to take place at Oakwood Cemetery in Pella at 10:30am on Friday, July 20th (see Garden Chapel website for details). As their only child and son, I’m saddened to lose both my parents in nine months, and doubly so in that less than a year ago I still hoped that both would move to Iowa from Arizona, live a few more years, and get to enjoy their only grand kids. My Dad didn’t make it to Iowa. My Mom did in December 2017. But she was diagnosed with an advanced and aggressive lung cancer in February 2018, the oncologist giving her six months to live. He was off by a month. Even though my Mom was officially diagnosed with lung cancer on February 5, 2018, it’s clear in retrospect that she had it at least six months prior. She had had problems breathing and had three separate X-rays taken of her lungs while still in Arizona. For whatever reasons, the doctors thought it was fluid on the lung or something benign. Even here in Pella, the initial X-rays didn’t prompt any urgency. But my Mom was getting weaker and weaker, having night sweats as well as pain at night on her side while trying to fall asleep. I pressed my Mom to get to the bottom of this, but thought that she was dealing with some sort of infection. Finally, a CT scan was done, at which point the doctors suddenly started talking in terms of lesions and cancer. But by then it was too late. She was diagnosed with a mesothelioma, and the cancer was no longer confined to her lungs but had spread to her ribs. Dealing with increasing weakness and pain, she was a shut-in the last three months of her life. Fortunately, the neighbors in the apartment next to her were wonderful and did just about everything for her, making it possible for her to stay in her apartment until the last few days of her life. Good evening. Thank you for attending this launch of the Walter Bradley Center for Natural and Artificial Intelligence. In my talk tonight, I’m going to address three points: (1) why the work of this center is important, (2) what its impact is likely to be, and (3) why it is appropriately named after Walter Bradley. First, however, I want to thank friends and colleagues of Seattle’s Discovery Institute for their vision in forming this center and providing a secure home for it. Thanks go especially to Bruce Chapman and Steven Buri for making this center a full-fledged program of Discovery; to John West for working through the many crucial details that an initiative like this entails; to Robert Marks for his towering presence in the field of computational intelligence and his willingness to lead the center; and finally to Walter Bradley for giving us not only his name but also his example and inspiration (more on this later).